This was the first match I had fished at Rush Lyvars for quite some considerable time, but I have been for a fair few pleasure days as the fishery is only 2 minutes from my house. Around 18 months ago the fishery came under new ownership and since then has gone through a massive transformation. They have split the lake back into 2 separate lakes with one being now designated as a Carp lake and the other a coarse/match lake. The coarse/match lake has undergone an extensive stocking program and has been stuffed with a large variety of species, making it a fantastic mixed fishery. On arrival at the fishery, I was extremely pleased to see a great turnout of more than 25 anglers. 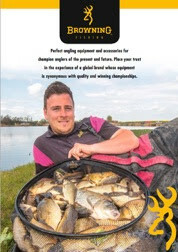 This alone proves how good the fishery has become in such a short space of time! After a chat and a catch up with a few of the other lads, it was time for the draw; I pulled out peg 30 which is is a decent walk to the far side of the fishery. On arrival at my peg I was really pleased to find calm water, which was great as everywhere else seemed to be affected by the strong winds. The only problem was I had to jog back to the car as I'd left some of my bait in it, do'h! My plan was pretty simple, first of all I planned to fish 2 short lines, one at a 10 o'clock angle and one at a 2 o'clock angle at a top 2 plus 2 distance. The idea behind this was to fish a single line out then feed it up, then switch onto the other with a hope that the fish kept feeding all day. The second line I planned to target was a long pole line at 13 meters directly in front of me. The last line I planned to target was the margin to my right hand side. For the short lines I planned to fish and feed 4mm expander pellets, as this is something that seems to work really well on this lake. I also had some dampened micros should I need them. Sometimes by potting in micros, this helps to keep the fish feeding on the bottom instead of coming up in the water when feeding the expanders over the top. For the long pole line I had 2 tins of meat chopped into 8mm cubes. I planned to feed this by catapult as this has worked well on previous occasions. Finally for the margins I had some groundbait, which I planned to pot in. For the hook I opted for 8mm meat. 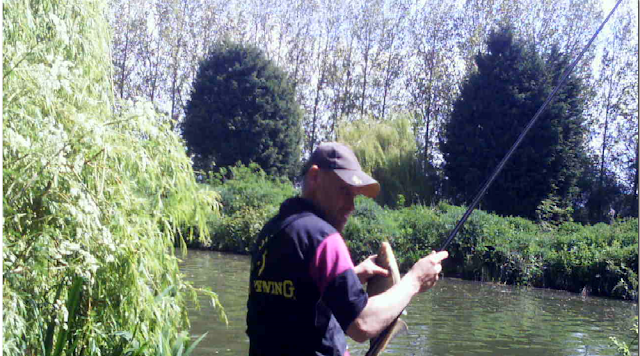 I started the session on the short line at a 10 o'clock angle, close to the overhanging willow tree. I started by feeding around 10 expanders by hand every 20 seconds or so. The idea behind this was to make a bit of noise and attract the fish to the swim quickly. It didn't take long for the first bite, and a small Silver Bream was soon in the net. This was soon followed by another. The 3rd drop resulted in a quick lift followed by a steady stream of elastic omitting from the pole. This was a proper fish and soon enough a decent Bream broke the surface before diving again making a final bid for freedom. Fortunately it soon gave up and was safely netted. The next few drops in produced a good run of small fish before another decent Bream was hooked and safely netted. The line then seemed to go dead for some reason; it was as if the disturbance of the hooking the Bream had spooked the peg. In a bid to get things going again I upped the feed on the 10 o'clock line, but instead of going straight back on it I opted to try the long line. I had been feeding this line regularly from the start of the match with 3 or 4 cubes of meat via catapult. I shipped the rig out to position and the lowered the rig in really slowly. A second later a really positive bite materialised resulting in a decent battle, soon enough the culprit was in the net, which turned out to be a cracking Ide around 3- 4 lb. Unfortunately this was the only bite I had on this line. I soon switched back to the short pole line and I'm pleased I did, as 2 proper Bream in 2 drops were the immediate result. I picked up a few more smaller fish before the line again died. I decided to try and make things happen so I potted in some micros and meat at 13 meters and some micros and expanders on the 2 o'clock line. I left the 10 o'clock line alone so I didn't put all my eggs in one basket. After persevering on the 10 o'clock line for a further 10 minutes, I switched over to the 2 o'clock line which was solid with small F1s, Crucians and skimmer. After 5 minutes I potted some micros onto the 10 o'clock line too, so that when the bites deteriorated I could switch lines and top up with another pot of micros. This worked an absolute treat as I started catching really well. During this time I had the odd go on the longer line and picked up a few better stamp Carp, but I was having to wait longer for bites, so I opted to stick to the short lines as I could catch much faster. As the match drew to a close I was catching small F1s at a cracking rate. As the whistle blew to signal the end of the match, I had no idea how much I'd caught. As the scales arrived I was quite eager to find out! 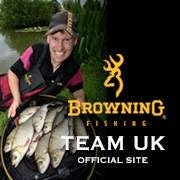 I was really pleased when I weighed in 48lb 12 oz which was enough to give me second in the match.....Happy days!! !